In the weeks ahead, SpaceX plans to pressure-test a prototype carbon fiber tank on an oceangoing barge, to gauge how well the technology will stand up to the oomph that’d be required for trips to Mars. The test is one of the near-term steps that SpaceX founder Elon Musk laid out today during an “Ask Me Anything” session on Reddit’s SpaceX discussion forum, focusing on his long-term plan to transport a million settlers to Mars. Musk signed on to the AMA session to follow up into some of the geeky questions raised by last month’s big reveal about SpaceX’s Interplanetary Transport System. Which, by the way, Musk is not happy with as a name. 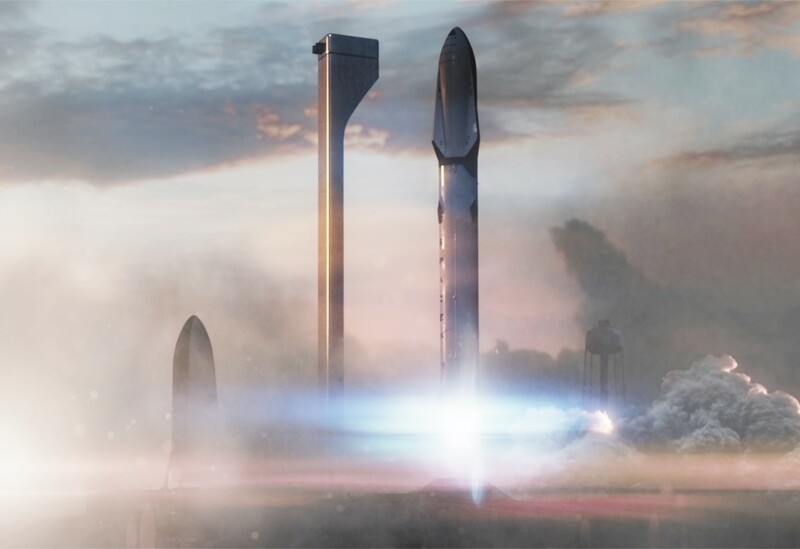 This entry was posted in GeekWire and tagged BFR, Elon Musk, Mars, Mars Colonial Transporter, Reddit, Space, SpaceX, Starship. Bookmark the permalink.